NORTH EASTON, MA MARCH 8, 2011- Massachusetts conjures up images of clam chowder and Nor’easters, but in the off-road world New England is known for being the home of Lucas Murphy. Murphy qualified for the exclusive Griffin King of the Hammers race by finishing 5th at the Quadratec Rausch Creek Qualifier, and then backed it up with a win at the Southern Missouri Off Road Ranch International Endurance Race. 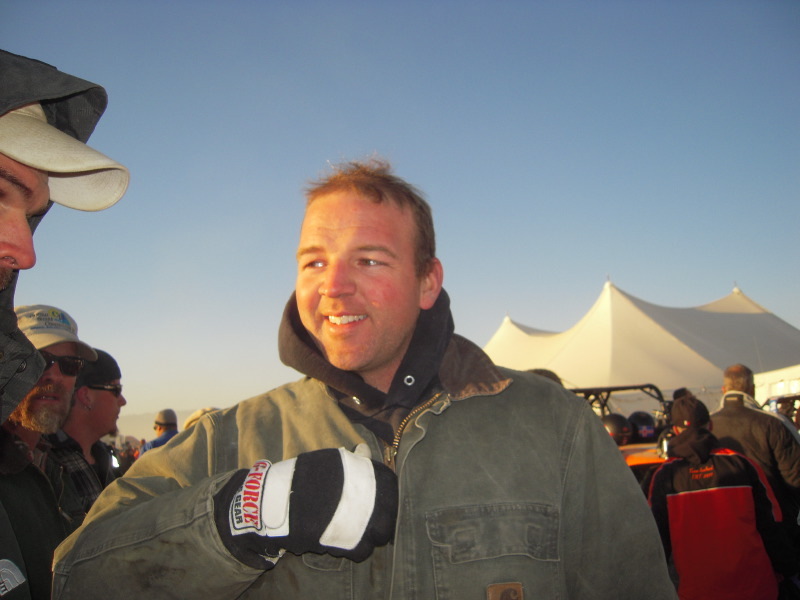 Murphy then transitioned back to home life, juggling his work managing a manufacturing engineering group, raising a young family, racing on the weekends and building a new house. Three days after moving in to his new home, three of the eleven-member Murphy’s Law Motorsports team loaded up and drove 3100 miles across the country to compete in the world’s most difficult one-day off road race. 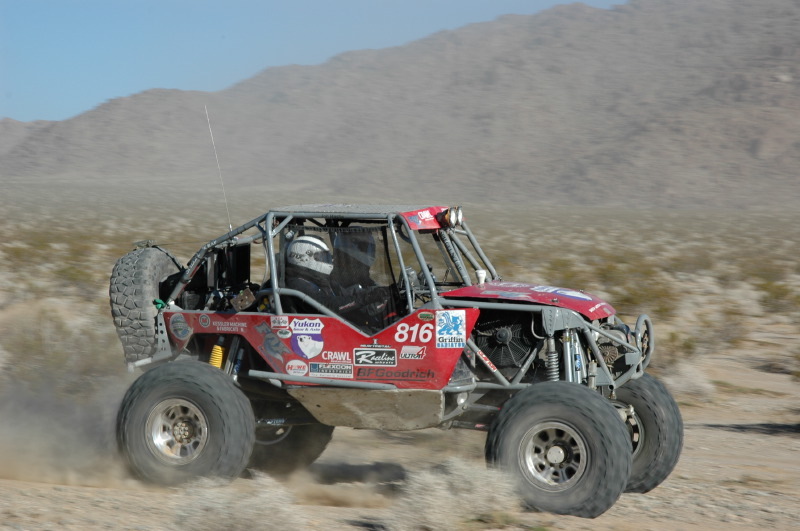 Murphy’s home fabricated buggy finished 23rd in last year’s King of the Hammers race, but Lucas recognized that there was still room for improvement. “Fox Racing’s Todd Tenbrook was able to double our speed with just a few hours of tuning!” Murphy had some great opportunities to pre-run the course, but not without fail on Wednesday when they broke the rear axle! 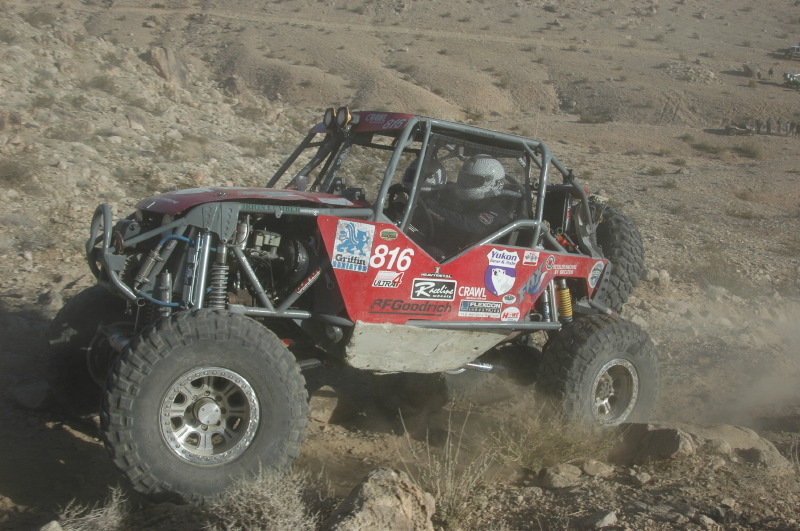 Lucas started 15th in the King of the Hammers and had an excellent first lap in the 120-mile race. At Backdoor the team almost got rolled on by a competitor attempting the obstacle in front of him, “but I shoved it into reverse and floored it!” Lucas explained. Murphy’s Law Motorsports was in 11th place on the course when the rear driveshaft failed after contact with a rock on Jackhammer. A broken driveshaft is easily remedied by someone as mechanically talented as Lucas Murphy, but unfortunately the rogue driveshaft took out the transmission in the process of reversing off the rock. “There is a reason they call us Murphy’s Law Motorsports!” a goodhearted Lucas stated after the race. Always striving to advance, Lucas Murphy will be building a brand new car this year while running the Rausch Creek race series and select Ultra4 races. Check Murphy’s Law Motorsports Facebook page for updates on the new buggy and team status.